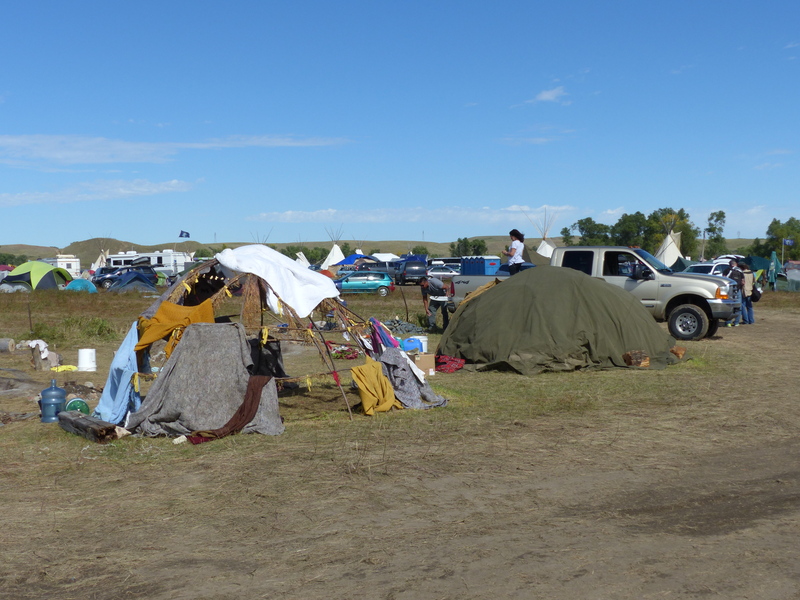 The Sacred Stones Camp where we stayed was just outside the reservation. 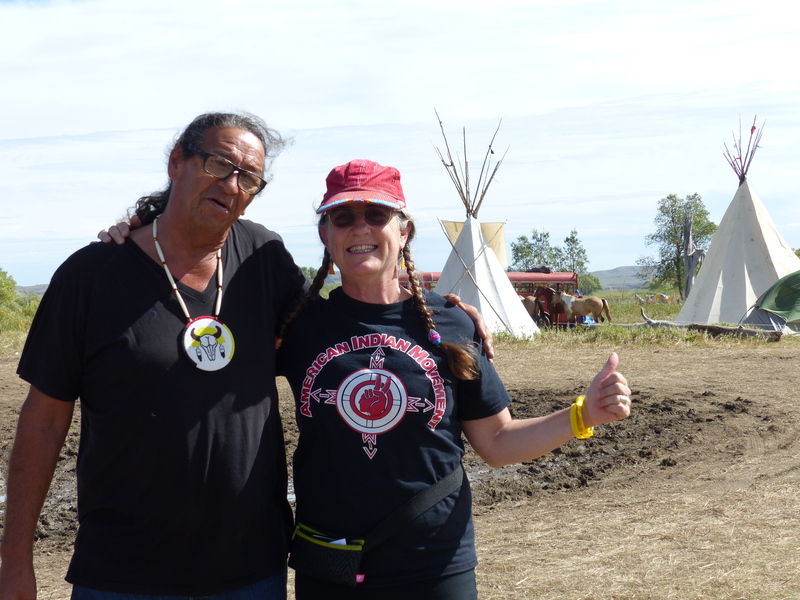 My friend Bob Klanderud and I drove to North Dakota this weekend to spend a few hours standing in solidarity with those who are working to protect the water and the sacred lands near the Standing Rock Indian Reservation. It’s about an eight-hour drive from the Twin Cities. In previous blogs, we have provided some of the political and legal context behind this story. 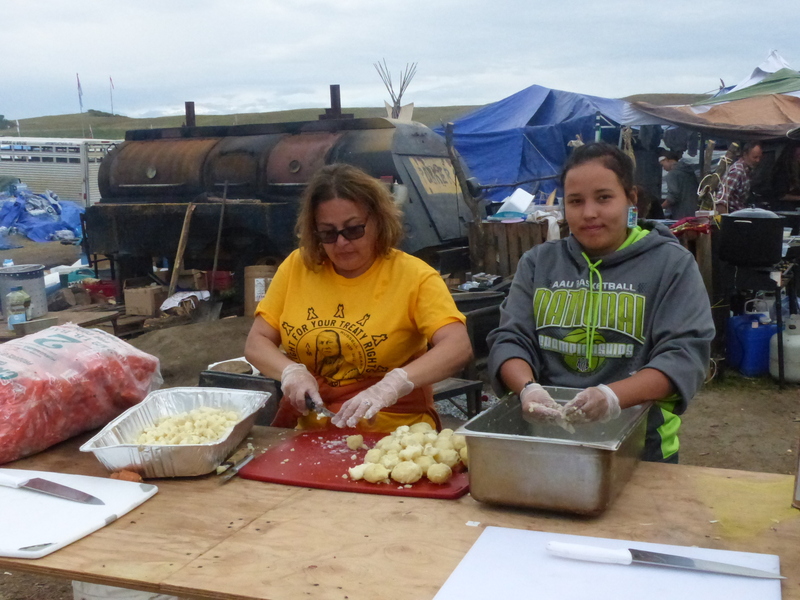 With this post, we simply want to share images from the campground. Still, for those who have not been following it, here is a quick rehash of the news. 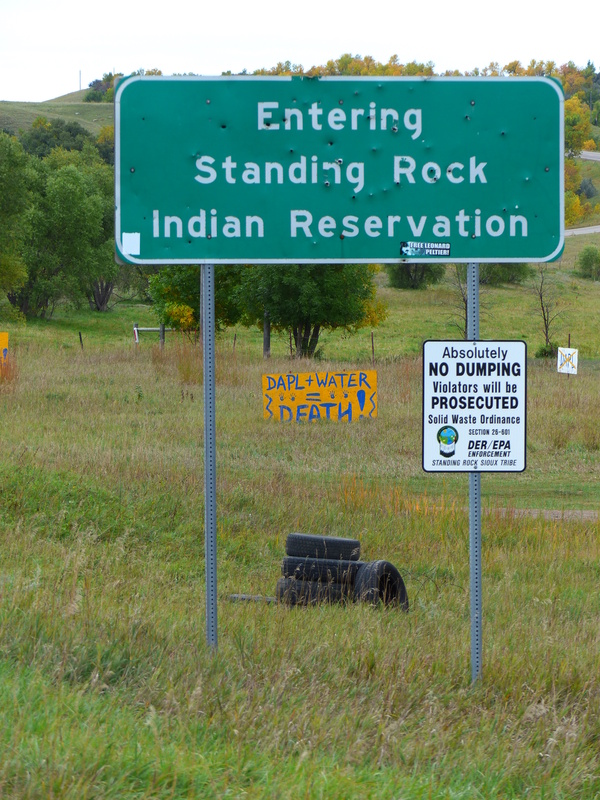 In previous blogs, we have linked to reports that state the original pipeline route would have crossed the Missouri near Bismarck, ND, “but authorities worried that an oil spill there would have wrecked the state capital’s drinking water.” So instead, it got rerouted so that plans now call for the pipeline to cross under the Missouri River just one mile upstream from the Standing Rock Nation’s fresh water intake. 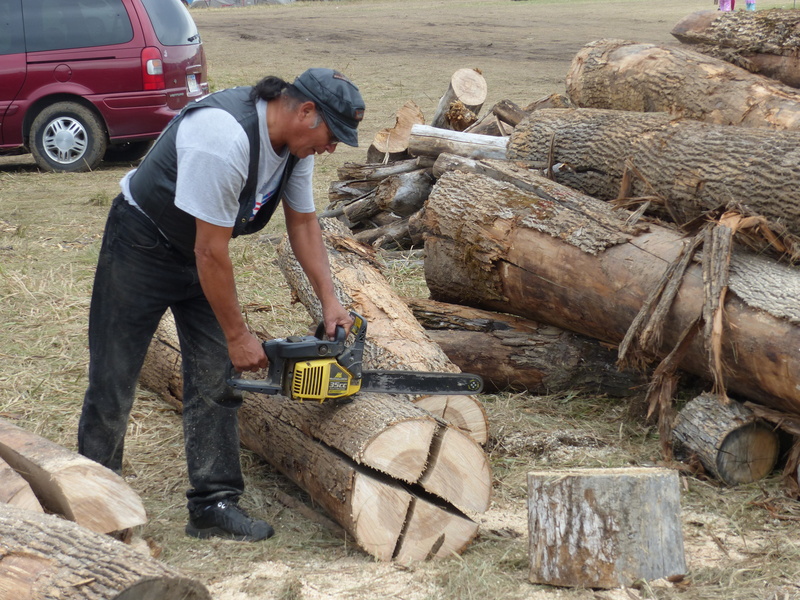 The pipeline also would pass over sacred ground, including burial sites. 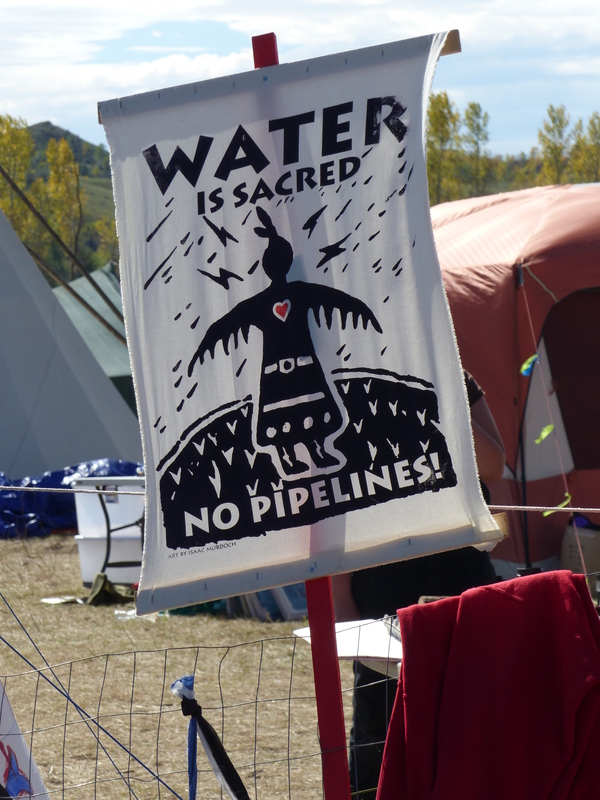 This blog has shared articles about how the pipeline company provoked a confrontation by using heavy equipment to dig up a sacred site while a court case was pending, instigating a clash between pipeline opponents and the pipeline company’s private security guards, who had mace and attack dogs. 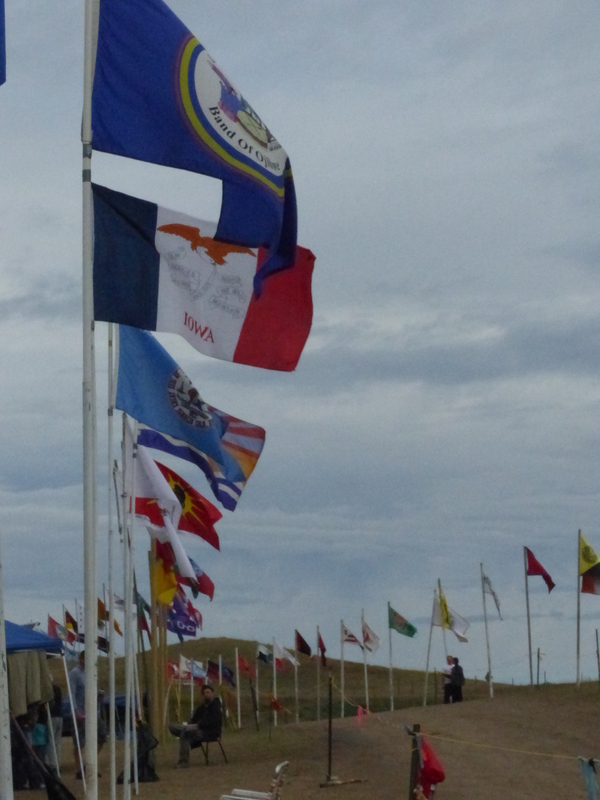 We have written about how religious leaders are coming out in support of the Standing Rock Nation. OK, enough background. 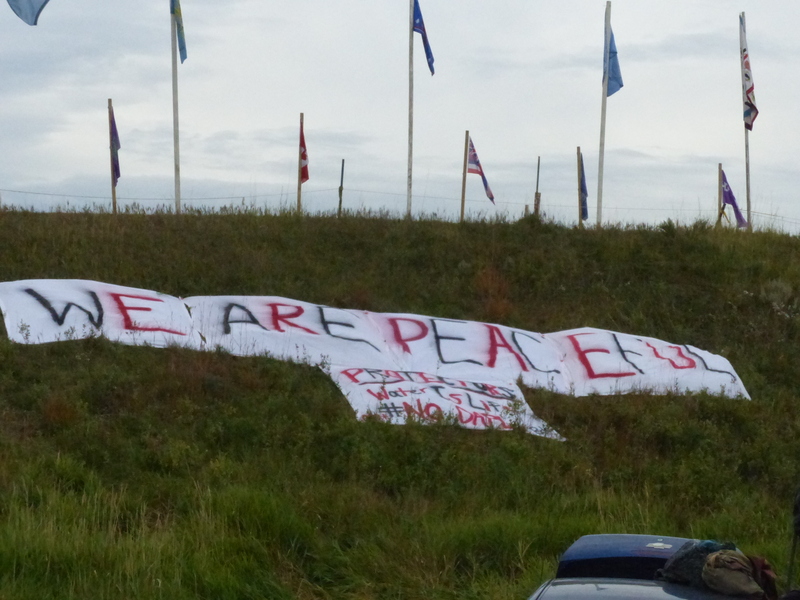 I have no knowledge of the camp politics or any developing strategy regarding the pipeline, but here (more or less in focus) is what I saw. 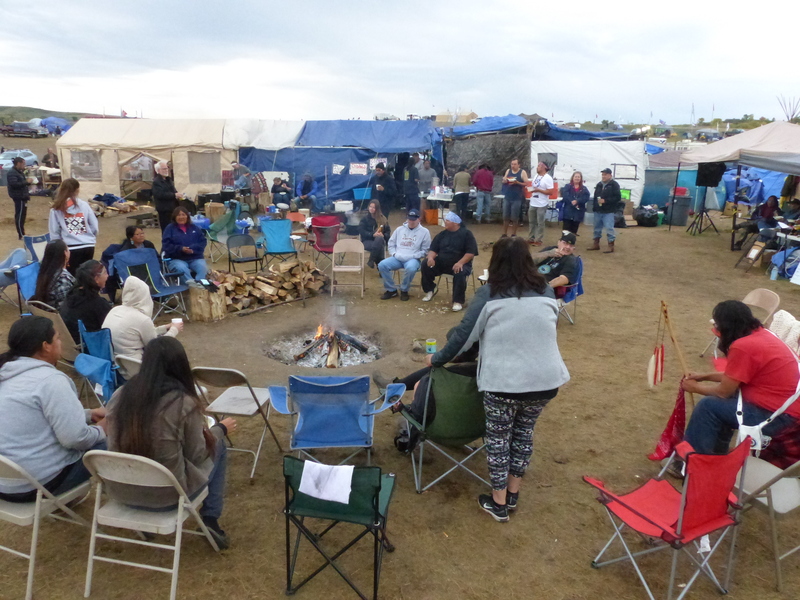 There is a central area with a fire where people meet at night to listen to speakers, hear singers and pray. … And those who cook it. 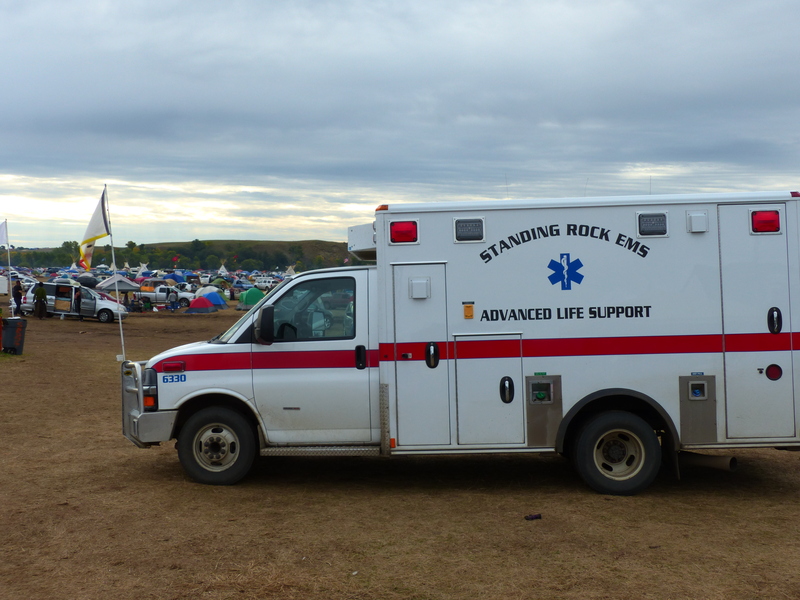 … And an ambulance on site in case of emergencies. 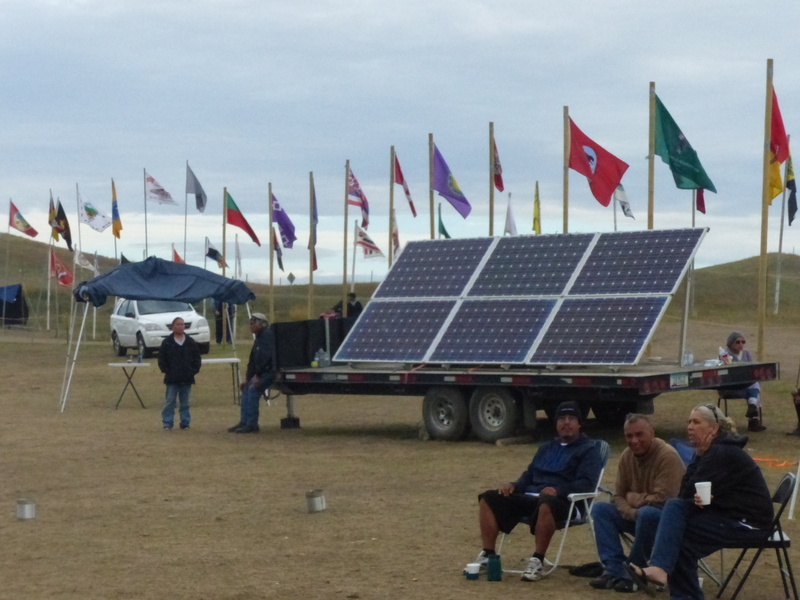 … And solar panels help power the camp, too. 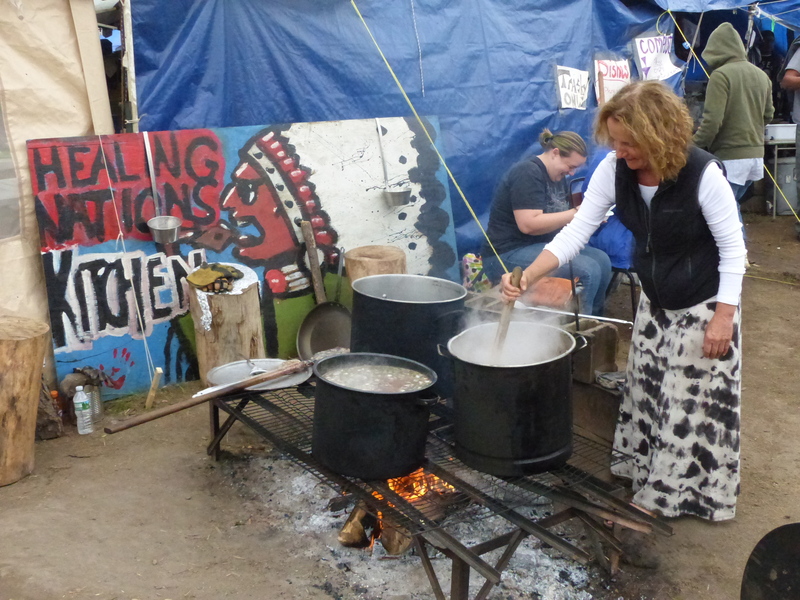 … And they have brought many, many donations of food and clothing. … Including this one aimed at anyone flying overhead. 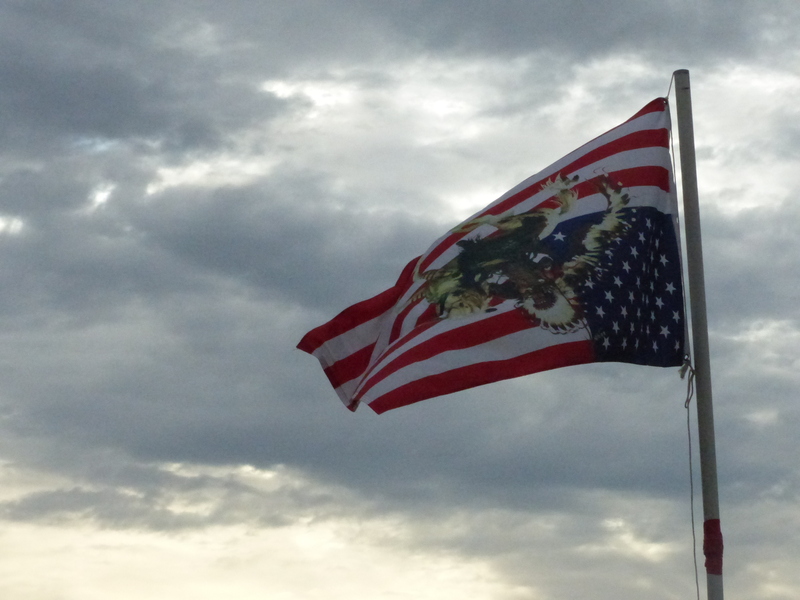 A number of people had versions of the U.S. flag flying upside down, an officially recognized signal of distress. Roads are roughed out and people find a place to put up their tents. 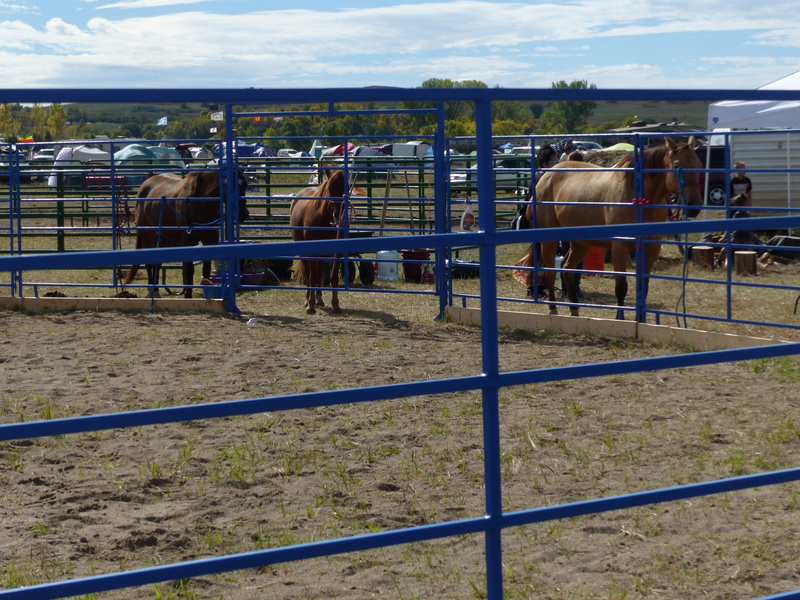 And the camp also has a spot for the horses. The camp is a chance to bump into old friends. Here, Bob Klanderud ran into Keri Pickett. 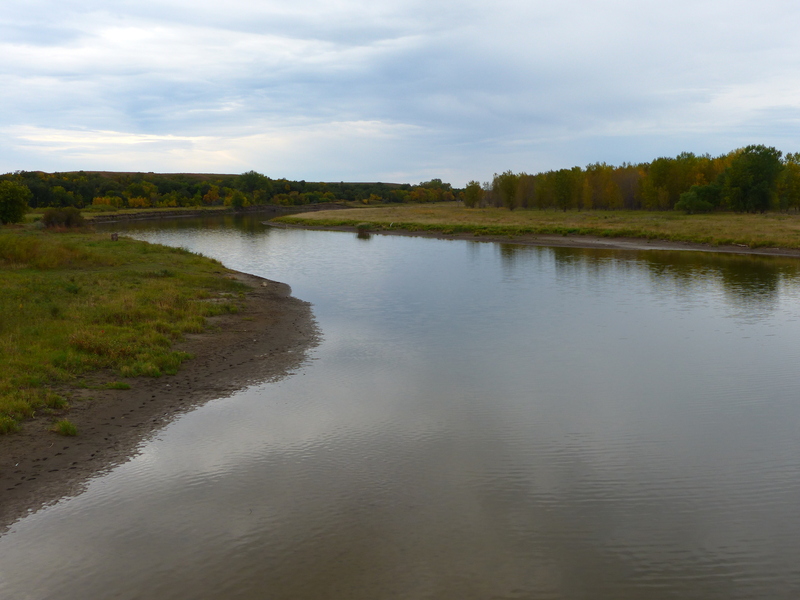 The main camp is located just north of the Cannon Ball River, which flows into the Missouri. 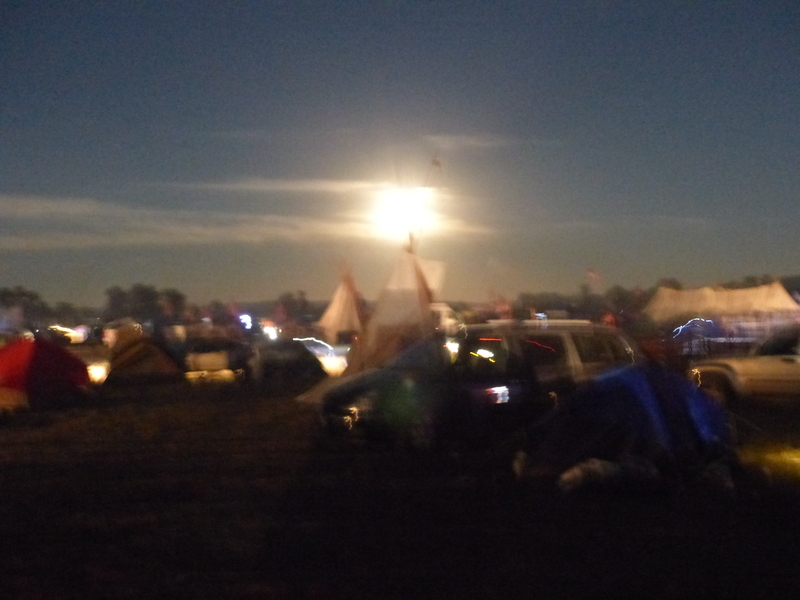 The camp is a beautiful spot to watch the moon rise. Thanks for sharing these images and stories! 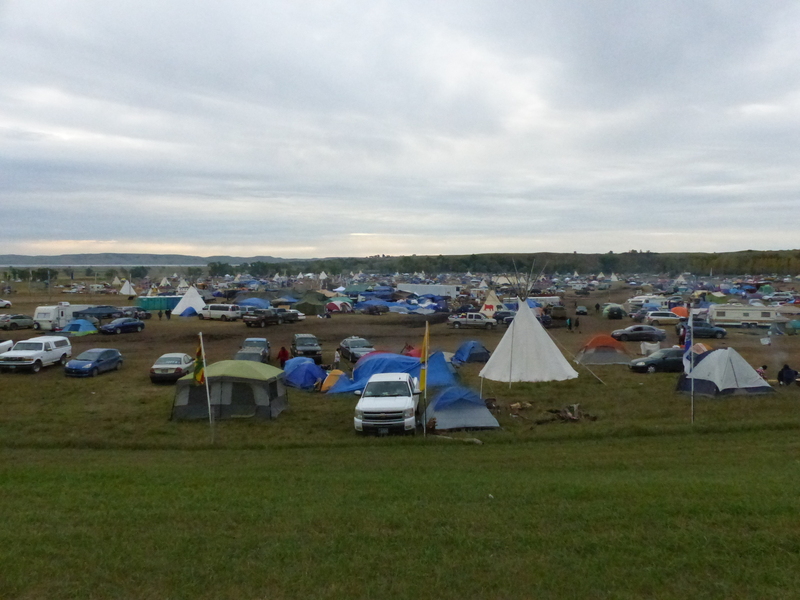 Is the camp welcoming of other supporters who can only make it for the weekend? 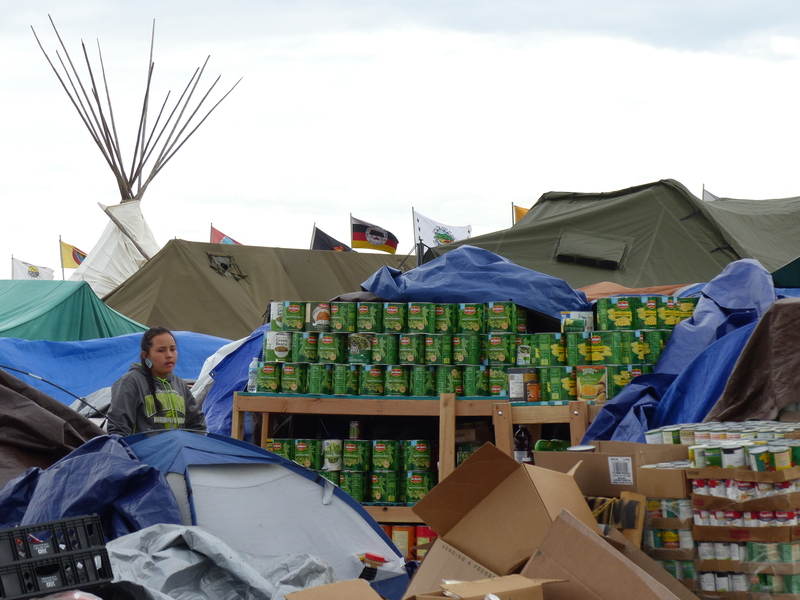 Is there a central site somewhere with lists of ongoing needs for donations or volunteers?